My blog dated 23 January gave a short introduction to the remarkable natural material called parchment or vellum and its durability. The collection of medieval documents and early books at St George’s Archives and Chapter Library is testament to its properties. This time I will concentrate on the way a book was constructed after the parchment had been cleaned and dried and cut to the required size. Very large sheets could be folded several times and their edges cut open to form the basic unit of a book, the so-called quire, or gathering (and in the language of printers, a signature). Smaller sheets were folded only once to create a bifolium – that is, two leaves or four pages. Bifolia were inserted inside one another to form a quire. The quires of the manuscript of Biblical commentaries of Gregory and Bede held at St George’s [SGC LIB MS.5] are made up of four bifolia each, that is of eight leaves or sixteen pages. There are 24 quires in total in the book which equates to one hundred and ninety two leaves, or three hundred and eighty four pages. The arrangement of the leaves follows a pattern common throughout the medieval period – the hair side of the treated calf skin faces hair side and flesh side faces flesh side. The aesthetics of a medieval manuscript were determined well before work on the page layout, let alone the decoration, could begin. The quires were often distributed among scribes and artists in monasteries and chapel scriptoria to speed up the work. The differences of handwriting within a single volume will nearly always be per quire and rarely within the same quire. Scribes used various devices to signal the order of quires: quire marks (consecutive numbers written on the last verso of a gathering), quire and leaf signatures (combination of letters and numbers on the leaves in the first half of a gathering), or catchwords (the first words of the next gathering written at the end of the previous one). 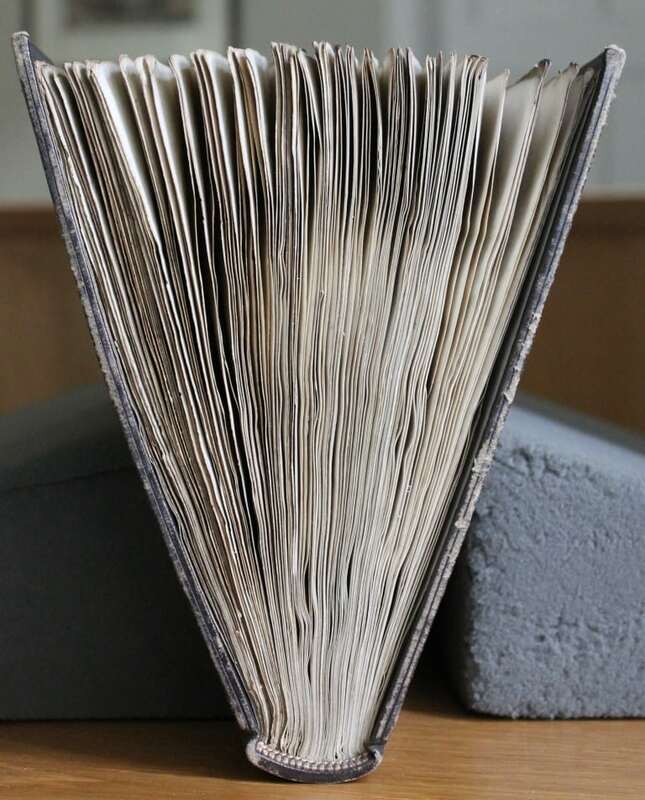 Each of the pages will have been textualised by the scribes and then elaborate letters or miniature illuminations will have been added before the completed quires are sent to the bindery for binding the whole codex, or book. More information about binding will be the subject of a later blog. For a brief, yet pleasant animated introduction to the above please see the Getty Museum video, ‘The Structure of a Medieval Manuscript’ on YouTube.